Dornbrook Construction has been the residential concrete contractor preferred in the Milwaukee metro area for decades. Whether it’s a concrete driveway repair and replacement or a garage floor, you can count on Dornbrook Construction. Our experienced Menomonee Falls concrete contractors will get the job done, leaving a flawless work of art to admire for years to come. We provide our customers with an unparalleled level of professionalism, quality, care and communication, which drives our business forward. 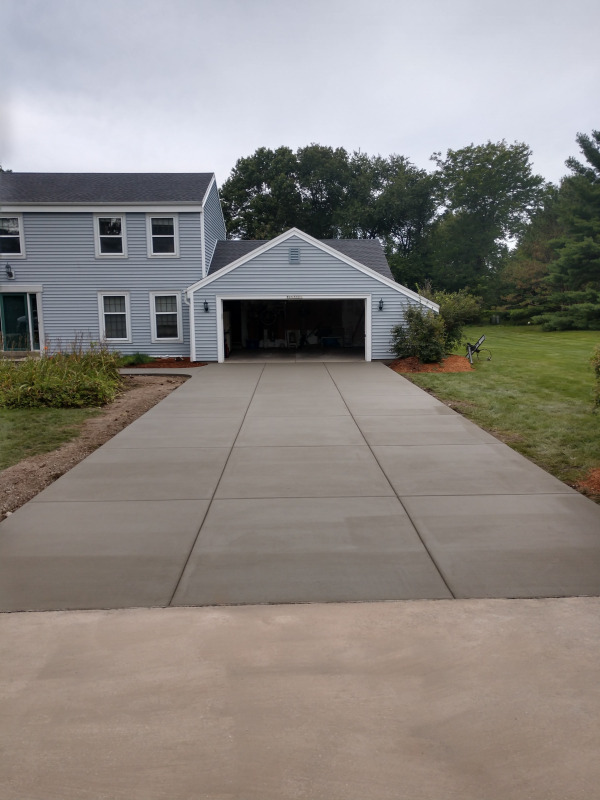 With Dornbrook Construction, you’re not only receiving Milwaukee’s top concrete services your increasing the value of your home one slab at a time. Driveways are the part of your home’s exterior which usually receive a high volume of traffic. From car to foot traffic, your driveway will undergo wear and tear resulting in cracks, deterioration, stains and uneven slabs. If large enough, cracks and raised slabs can be dangerous for family and friends. There are many options for homeowners when it comes to repairing and installing concrete driveways. For a driveway cost estimate, contact your local Menomonee Falls concrete contractors now. With warmer weather approaching, now is the time to enrich your outdoor living with a new concrete patio installation. Patios are a great addition to any home and offer an extended living area. Patios are great for entertaining family and friends or just to relax on. Whether you're dreaming up a brand new outdoor living space or wanting to revamp an unsightly slab of concrete, the best concrete contractors at Dornbrook Construction will make it beautiful and functional. Schedule your free consultation today for high quality residential concrete construction services. You’ll be amazed at the difference new concrete will make. Dornbrook Construction provides stunning exterior concrete solutions guaranteed to add value to your home. Not only will your family thank you, your neighbors will, too! Contact the Milwaukee construction company today for all your residential concrete needs.